Our Newcastle campus at Callaghan is located 12 kilometres north west of Newcastle CBD and has various transport links. Cycling is a great way to get to and around Callaghan campus. Numerous on road and off road bike paths connect the campus to Newcastle and surrounds. Our Active Travel Guides will give you a snapshot of your walking, cycling, and bus choices from a range of major suburbs to Callaghan Campus. The guides show you the time, distance, and health benefits of walking, cycling or taking public transport to campus. We tested many of the walking and cycling routes to find the safest most direct options available and created live Google maps with directions to help you. Secure Bike Hubs with end of trip facilities and a range of bike racks are available across campus. University Drive just outside campus. Visit Transport NSW for all timetable information. Active Travel Guides will give you a snapshot of bus choices from major suburb areas to Callaghan Campus. Monday to Friday (8:00am to 5:30pm) parking is available with a valid permit or by purchasing a parking ticket. At all other times, parking is free. The University's traffic and parking rules apply at all times. Types of Permits - Students can purchase either an annual or 6 month permit. Purchasing a parking permit does not guarantee you a parking bay, it does mean you don’t need to find change or stop and pay at a ticket machine. Take your order to one of the Student Hubs, along with your student identification card. Staff Parking Permits allow you to park in spaces marked as General or Staff at our Callaghan Campus. Visitors may only park in General Parking Areas. Machine vended day permit - coin and credit card operated ticket machines are located throughout the campus. The machines do not give change. Scratch and display day permit - these permits are available for advance purchase from the Infrastructure and Facilities Services team. Permits can only be purchased in packs of 10 minimum by individuals and packs of 100 by Faculties, Divisions and Units using EFTPOS only. Permits must be displayed on the vehicle dashboard with the correct month, day and date scratched. Any person who has been granted a NSW or inter-state Mobility Parking Scheme permit, including an Australian Disability Permit, is able to park in Disabled, Staff and General bays free of charge. Your valid parking scheme permits must be clearly displayed on the passenger side of your front windscreen.. Please note that RTA Mobility Parking Scheme conditions apply. Free Parking is available in carpark 16. Ride sharing is a great way to share fuel costs, reduce wear and tear on your car and limit carbon emissions. An exclusive to UON rideshare app is now available for both iPhone and Android. Liftango app is designed to make sharing a lift easier, the app connects passengers with drivers in a secure and private UON network. Incentives are offered to drivers and all Ride Share participants will enjoy the benefits of premium parking positions around the Callaghan campus. Click here to join the RideShare revolution and earn your rewards. Our Safety and Security team run a free shuttle bus at Callaghan campus Monday to Friday during semester. The service connects the train station with Shortland building during the morning and afternoon period and at night reverts to an on demand off campus service. See the route map. Broken down on campus? 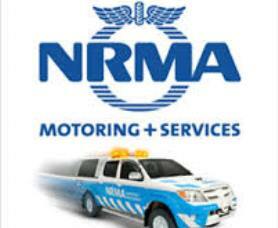 We have designated meeting places to help NRMA representatives easily find you.